As all parents of babies and young children know, getting a good night’s sleep is one of those things you sometimes wonder if you will ever experience again! But there are things that you can do to help your little one (and you) have a great and restful sleep. Cloud b has an answer for you – not only are their toys cute and cuddly, but they will also help your child to fall asleep and stay that way until morning! Cloud b have actually done their homework and looked extensively at the science and the real experience of parents to develop products that will ensure a great sleep for everyone. They have been helping parents and kids have a restful nights sleep for over a decade with their innovative toys. Is your child afraid of the dark? This is a very natural fear. For a long time my son always needed a nightlight on but now he loves his Cloud b Twilight Turtle. 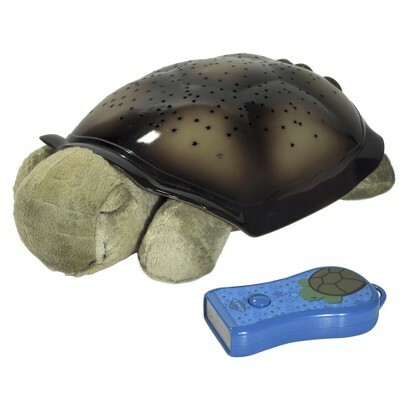 This fun turtle helps a child to get over their fear of the dark. It projects actual star constellations onto the ceiling. You even get a star gazing guide to help identify the constellations. 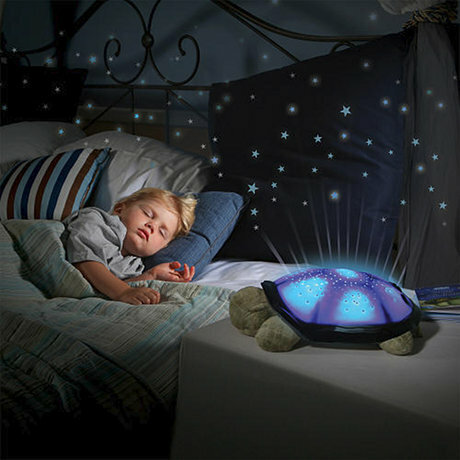 The turtle has a 45 minute timer so it will turn off once your child has gone to sleep. We all know that a lullaby can soothe a baby or toddler to sleep. The Cloud b Gentle Giraffe will help soothe your child to sleep. 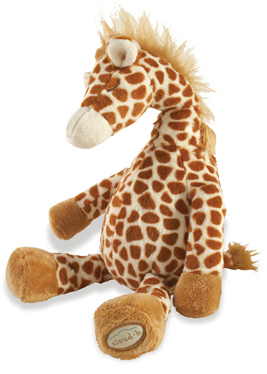 This soft cuddly giraffe will lull your child into dreamland with the sounds of a safari and the sound of a mother’s heartbeat. There are lots of other friends to choose from including Marvin the Monkey, Frankie the Fox and Bubbly Bunny. One thing which you may not have thought of is that smell also plays a role in emotions and therefore can have a big effect on sleep. Cloud b Slumber Friends all have a removable pouch filled with a lavender blend to help your child fall asleep. Of course we were very happy to learn that Cloud b also have a range of Disney friends for your child! You can find out more about these fabulous toys and take your first step to a restful sleep by visiting Cloud b online. Cloud b has sponsored this post. As always my opinions are very much my own.